This was my first year at Boston Calling, and it most certainly will not be my last. 60,000 people attended the 3-day concert, Boston Calling’s 3rd installment of what now feels like a music tradition on City Hall Plaza. Three times is definitely a charm. The blue and red stages were positioned kitty-corner to one another with music playing alternatively on each. A quick 90-degree turn was all that was needed to move from watching one band on the red stage, to watching another on the blue stage. Ideal when you’re jockeying for position to see one of the 23 acts set to play. Speaking of the bands, this May’s lineup was an indie rock paradise. Friday night’s Edward Sharpe and the Magnetic Zeros was by far the most engaging band of the weekend. Edward Sharpe made his way through the front row many times, encouraging a young woman to sing a verse of a song, asking another fan to tell a story to the crowd, and encouraging all the photographers to “put the cameras down and dance!” Our own WLBT Editor extraordinaire Dave even had a cameo on the jumbo screen. His smile said it all – Boston Calling is pretty spectacular. 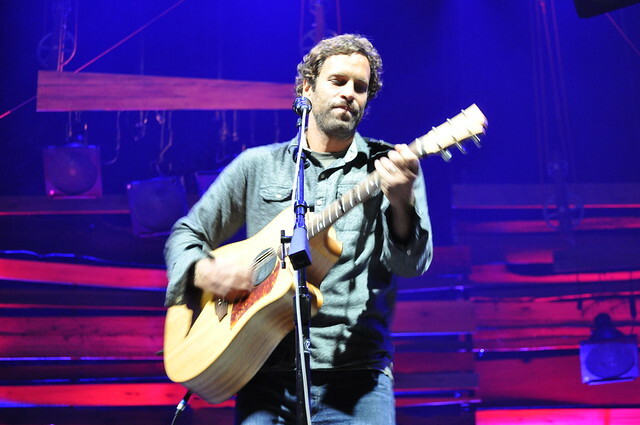 Jack Johnson was his typical, pleasantly melodic self. Saturday brought the fun Frank Turner & The Sleeping Souls who also invited a fan onstage to play a pretty fantastic harmonica. Death Cab was perfection, dropping the sad bomb of “I Will Follow You into the Dark” at just the right time. And oh, they’re working on a new album! The final night of the festival gave us the delightful Tegan & Sara, the incredible and much-missed Brand New, and the trippy Modest Mouse. My soft spot that night was most definitely for Brand New. The festival’s vibe immediately shifted once they got on stage, bringing a heavy intensity that was missing from the mostly feel-good lineup. Their guitarist Vincent Accardi played his guitar with a utility light that he pulled from somewhere onstage… need I say more. The festival wasn’t without its hiccups. Sam Adams ran out of all other beer besides their Summer Ale on Friday night (first world problems) and the porta johns ran out of toilet paper around 8:00 each night (not surprising). The beer lines were not in a designated area this year, allowing festival guests to walk around with their drinks. Good for everyone there, but bad if you’re wearing sandals. You had to keep an eye on the ground to watch for stray cups and cans everywhere. But in the grand scheme of things, when the only issue at a music festival is the lack of beer options, you’re doing something right. 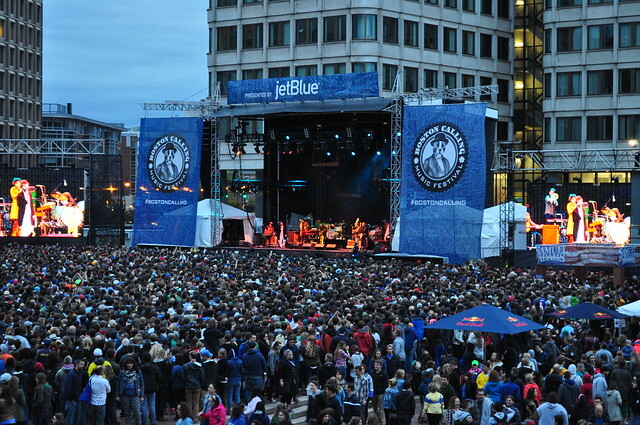 This entry was posted in Things to Do, We Love Music and tagged Boston Calling 2014, Boston Calling May, Brand New, Death Cab for Cutie, Edward Sharpe and the Magnetic Zeros, Jack Johnson, Modest Mouse, Tegan & Sara by Sarah Matthews. Bookmark the permalink.